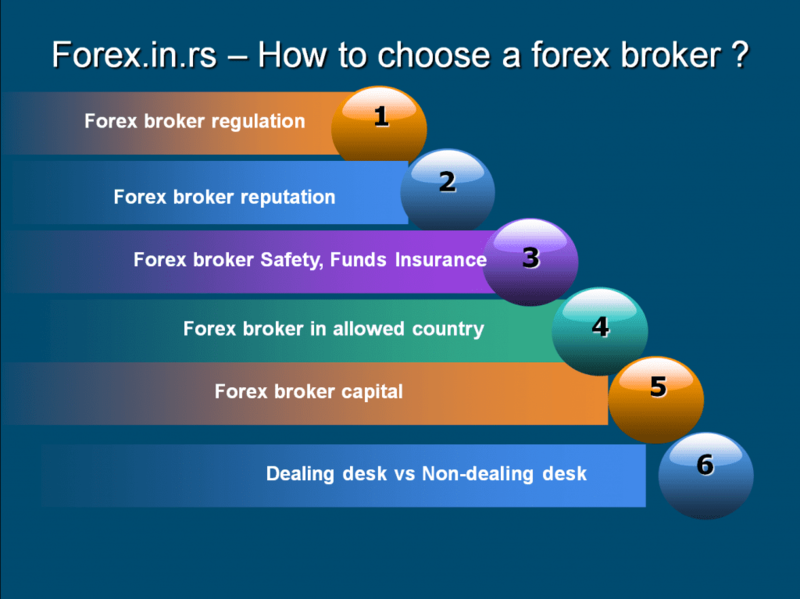 Recently I wrote article How to choose a forex broker step by step and I got a lot of questions from my friends on Twitter and Google+ about this problem. So I decided to name all factors that influence the forex broker selection process.I found 20 factors or 20 good questions we should be asking ourselves when we choose forex broker. All countries are not regulated the similar way; they don’t have the similar regulatory environment as well as requirements at what time it become to fiscal registration. So, it’s important for every trader/investor to select the broker of foreign exchange which is in that country based where their actions are observed by regulatory agencies. You can check each forex broker regulation in our regulated forex brokers ranking list. The National Futures Association: NFA is industry-wide, and self-regulatory company for futures business in US. It develops the rules, programs as well as services to defend an integrity of market, investors and traders, as well as to assist the members to meet the responsibilities of regulatory. CFTC (U.S. Commodity Futures Trading Commission) is the government agency which is independent that regulates futures of commodity as well as options marketplaces in US. The mission of CFTC is to defend the users of market from scam, manipulation as well as abusive practices that related to commodity sale and fiscal futures as well as options, in addition, foster open, financially sound and competitive futures and the options marketplaces. Cyprus Securities and Exchange Commission CySec is Cyprus regulation body and very important because low country taxes make that a lot of major and strong forex brokers open their offices there. FSA is former regulation body for UK. Today Financial Conduct Authority FCA is UK forex regulation body and Australian regulation body is Australian Securities and Investments Commission ASIC, Markets in Financial Instruments Directive or MiFID is EU regulation body , CNMV or Comisión Nacional del Mercado de Valores is Spanish etc. If you select to do the business with unregulated broker, then you’re creating potential problems. For example, if you’ve to dispute the trade on an action help by broker. There’re few countries where legal protection and law are strict as well as dependable like United States, Australia and United Kingdom but most EU countries as well. Forex broker reputation we can check on several ways and we can not be 100% sure.First we need to check forex community such as forex peace army or our website and read forex broker review.Than you can check alexa traffic rank to see how many visitors forex broker receives.If you see traffic below 100k it is good sign.You can see that forex brokers such as FXCM or Instaforex have high traffic reputation and in the same time high user experience reputation.You need to research and this is very difficult task. This important step we can not check easy. Only we can get information using forex broker chat support. Broker support can provide information about regulation, safety.Information that you can get in that conversation will be : regulation, number of clients, funds. You can go to regulation body website and check forex broker company. 4. 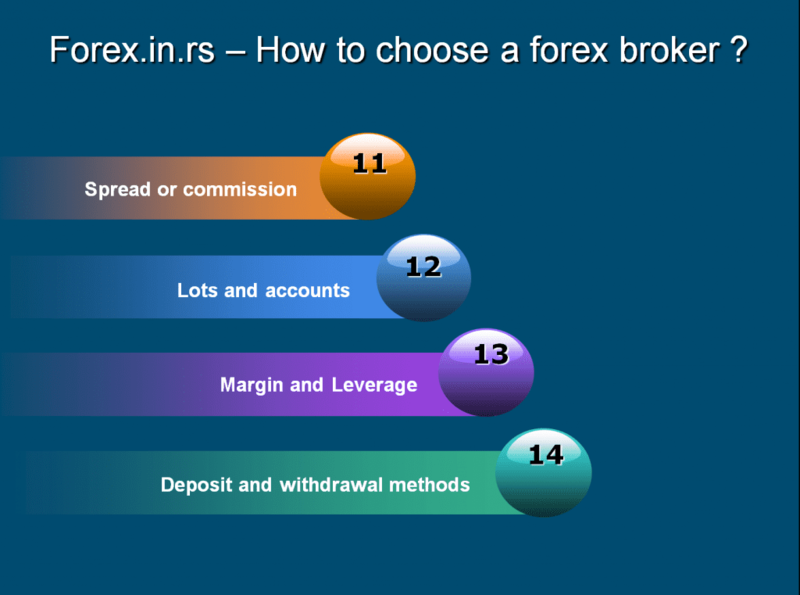 Check forex broker allowed country list. Many forex brokers can’t accept the traders from some countries just because that they haven’t sufficient access as well as authority.Some countries do not allow forex trading as well. You can see this in Terms section at forex broker web site.For example the most of EU forex brokers do not accept USA traders. Advice: Always read Term and condition section. If you are high deposit trader you need to check this information. Please visit Foreign exchange companies Wikipedia page and see list of main forex brokers (you can type other in search box). Here you can find separate pages about forex brokers. Look number of employees and capital. Dealing desk brokers use their capital against you. If you make order that order goes against broker’s capital. So when you lose forex broker is winning. Non dealing desk means that you trade on interbank forex market. When you make order you directly trade on market. Big forex brokers usually offer non dealing desk.Non-dealing desk trading has disadvantages as lack of trading bonus, no demo account, small number of payment options etc. This is another very important criteria when you select forex broker. Chat option on website is very important as well as fast (less than 24/48 hours) broker email respond. Of course, traders usually have problems with account verification and payments.In that communication it is very important to have excellent relationship with forex broker agent or support operator. Chat, email, Skype are standard tools for communication with forex broker.You need to find all this information at website. 8. 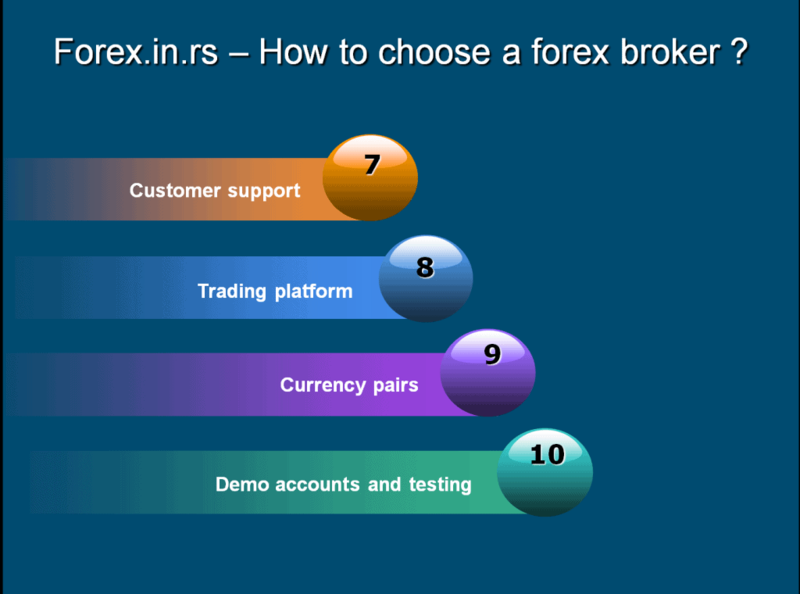 Which forex trading platforms use forex broker? Forex Trading Platform MetaTrader or MT4 is the best forex platform for majority traders.Several software companies created excellent trading software such as FXCM Trading station. A badly designed interface, could lead to expensive order access mistakes.Problem can be the options of customization, type of order entry, options of automated trading, trading alerts, backtesting, strategy builders. Many brokers provide free demo accounts so that the traders may test the trading podium or platform before opening as well as account funding. Advice : Always test new forex trading platform using demo account. Pick forex brokers that offer several trading platforms. Always test platforms and check for crashing or slow execution. Most traders trade only forex major pairs, some of them forex and major stocks, major indices. 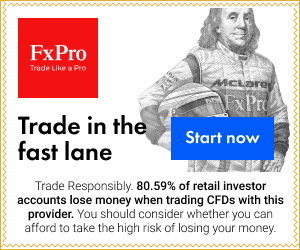 But there are a lot of exotic forex pairs and if you like to trade USDMXN or USDNOK or some other pairs it is smart to check how many currency pairs forex broker offers. It is important that forex broker offers demo accounts for trading testing, for EA testing, platform testing.This is very important if you trade using new platform or if you are new beginner trader. Just quick reminder: the spread, normally calculated in the pips, is a variation between buying & selling price. You need to find website section about spread.Brokers very often offer tight spread for major forex pairs. Traders can trade with 1 pip spread for EURUSD very often.But if you do not trade only with main forex pairs , you need to look spread for cross pairs such as EURAUD, GBPAUD, GBPNZD or exotic pairs as USDSEK, USDMXN etc. For example I tested several forex brokers and they offered 1 pip spread for EURUSD but 12 pips for GBPNZD. This is not good. Advice: Forex broker chat section is very important for all good brokers. Micro lot has 1.000 units, mini lot 10.000 units and standard lot 100.000 units. If you have less than $1.000 you need to have for sure micro lot account. “Leverage” simply means borrowed funds.Traders increase leverage because they can invest in forex trading without increasing their equity.The traders of foreign exchange be liable to like the higher leverages as well as sometimes select the broker based just on such feature. 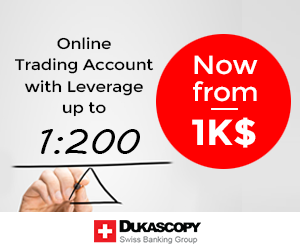 The levels of leverage are over the concern for aggressive dealers who wish to employ the big possible leverage; nevertheless a conservative or moderate trader will be pleasure with average levels of leverage.For traders who do not risk money this is not important information.They for example set leverage to be 1:10 or 1:20.For high risk traders leverage can be till 1:500. Learn more about Margin and Leverage from wikipedia. 1) Deposit amount – Minimum deposit amount is very important. Some brokers do not have minimum value as Instaforex for example, and some brokers do not allow trading without $5000 initial deposit. 2) Deposit methods: Today online payment service providers as Paypal, Skrill moneybookers, Neteller, UkCash, Webmoney etc. are excellent choice for internet payment. when you use this service payment is fast and withdrawal is fast too.Except that commissions are lower so payment services are excellent choice. If you have favorite payment option try to find to see in deposit and withdrawal section. 3) Withdrawal methods: Sometimes withdrawal methods are not the same as deposit options so you need to check that. Forex broker bonus is excellent way for every broker to attract new and old traders.This is very important thing. Example: I wanted to open account at Avatrade.They didn’t offer bonus at that time.In winter 2014, Avatrade offered $10.000 forex bonus, and than I opened account.More money in account, more money for trading, more lots, more profit. Of course I do not risk more than 3% of my money equity. Special services are: actual-time charts, economic data, news, special website tools, broker expert advisors, forex experts on demand, charts pattern analyser, forex advisor services etc.This can be very very important thing for some traders. Few years ago, I choosed FXCM as my broker because they offered Dailyfx on Demand DoD service where forex experts make analysis, chat with traders and talk about traders trading setup. A lot of forex brokers offers addition services – automated trading or mirror trading, PAMM accounts, MAMM accounts or simply signal providing services.In one word, some other experts trade for you.In this case, the biggest providing service is Zulutrade, than Tradency and other.Here you will receive forex signals and you will just follow. For PAMM and MAMM accounts, trader will get fund manager and how fund manager’s equity grows, your equity will grow as well. On the end : How to complain and How to claim compensation from forex broker? So if you choose forex broker and you have some problems the best solution is always : Contact the forex broker company directly and Make the complaint yourself. In above links you can read articles from FCA consumers section but advice from there you can apply for every forex broker.